The London Jewellery Showroom on Monday 18th and Tuesday 19th February on Bond Street offers guests the chance discover and buy exciting new fine and demi-fine jewellers in the midst of London Fashion Week. Bringing the colours of Australia alive, Jewels of Queensland will be showing bright and bold jewels such as this green sapphire pendant using ethically sourced stones and set in Fairtrade gold. Cypriot designer Maria Kotsoni diamond and gold bangle created the Spike Cluster cuff that reminds us of the ancestral and protective forces of the spike shape. The Rock Hound, the ‘gemmologist jeweller’ from the UK presents the Molten Muzo Emerald Candelabra pendant in Fairtrade gold with over 20 carats of emeralds from this legendary Colombian mine. The Macdesa ring in Fairtrade gold is named for the mine in Peru and it features laboratory grown diamonds, billed as the more eco-friendly choice. Cred Jewellery was the first to employ a mine to market strategy to be able to use responsible and sustainable gold to its jewels. 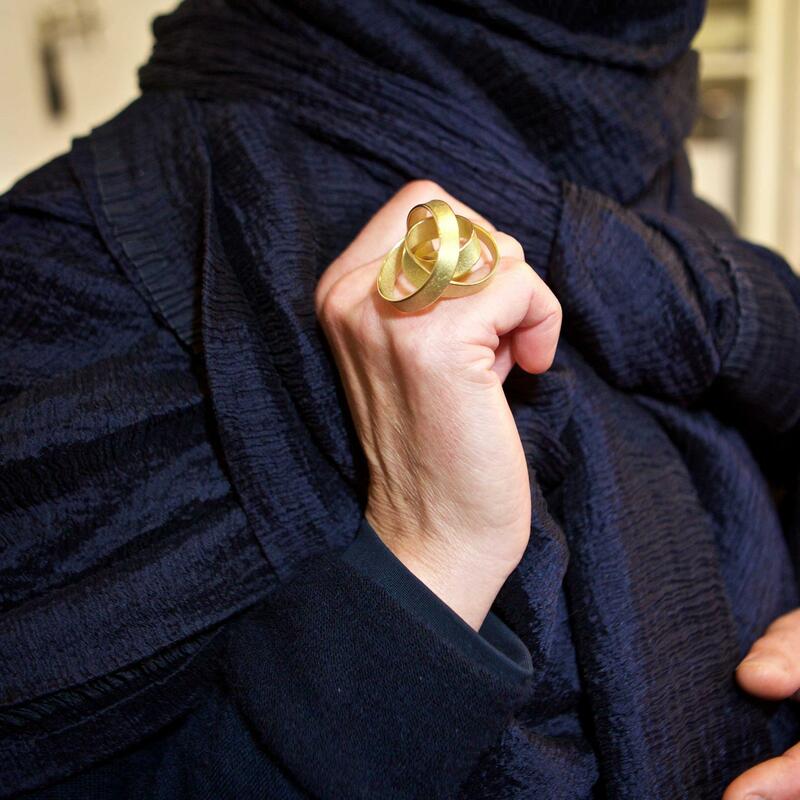 Right on trend, the Follina ring by Sif Jakobs adds a touch of femininity to a signet ring with a band of diamonds set into the gold by this independent Scandinavian designer. Loaded with emotion Sarah Zhuang’s Long Distance Love can be worn as two rings or converted into a brooch. Award-winning London-based jeweller and lecturer Sian Evans’ Botany Androecium earrings are made of coloured aluminium and are a fusion of inspirations from C19th botanical drawings to modernist mobiles. The line-up of jewellers includes both young talent and established names from around the world as well as a focus on jewellers sourcing materials ethically. It is also the chance to meet with the jewellers themselves, attend master classes and mingle with fellow jewellery lovers at the cocktail evenings. For the first time ever CRED Jewellery, Ute Decker, The Rock Hound and Natalie Perry – four leading ethical, certified Fairtrade jewellers – will show together at London Fashion Week. See the carrousel above for a taste of the range and style of jewellery on show from the fantastical creations of Hong Kong’s Sarah Zhuang to the Scandinavian minimalism of Sif Jakobs. The schedule of master classes by renowned experts ranges including Joanna Hardy from the BBC’s Antiques Roadshow to celebrity stylist Zadrian Smith. You can see the full schedule below. In collaboration with The London Jewellery Showroom, we are offering our readers a special VIP ‘Sparkling Shopping’ ticket which gives free entry to any of the master classes and a glass of Mionetto prosecco on arrival during the two days. Click here to register for a ticket and use the code VIPTJE for complimentary tickets. Use the same VIPTJE code to register for free for any of the master classes. When ordering the tickets on Eventbrite, choose a master class or ‘Sparkling Shopping’ and click on the top right hand of the box to enter the code VIPTJE. Show your VIP ticket at the bar for your complimentary drink.